The UCLA Anderson Forecast predicts President-elect Donald Trump’s economic polices will increase U.S. economic growth but pile up $1 trillion in national debt. With $500 billion in personal and corporate tax cuts arriving in the third quarter of 2017, the forecast calls for economic growth to accelerate from its recent 2 percent trend to 3 percent for a year, then slide back to 2 percent. Further growth will be hampered by near full employment and higher interest rates. But, the UCLA economists warn that “if the new administration follows through with its campaign rhetoric to engage in mass deportations, job growth and the economic activity associated with it would be far slower than what we forecast.” They say a major trade war with China or Mexico would also reduce growth. California should benefit from increased defense spending under President Trump, with San Diego especially favored, according to the forecasters. 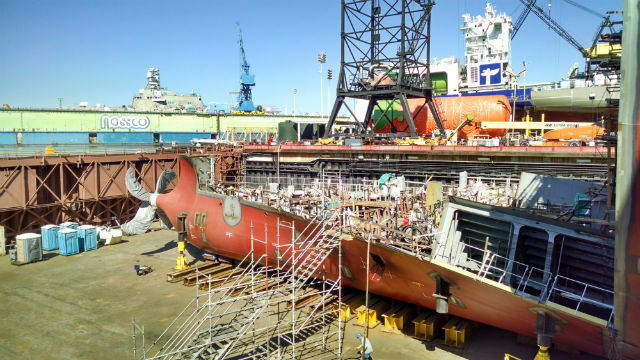 “There are few places to build the proposed 150 new warships, and San Diego is one of them,” said Senior Economist Jerry Nickelsburg, referring to General Dynamics NASSCO‘s shipyard. However, deportations could hurt the state’s agriculture sector. It’s estimated that half of California’s farm workers are undocumented. If these workers are deported, California’s farmers will have trouble harvesting their crops. The UCLA Anderson Forecast is one of the most widely watched forecasts and is credited as the first major forecasting group to declare the recession of 2001.